Digestive problems can be tremendously frustrating for anybody. Whether you suffer from just a little bit of acid reflux, or whether you have chronic nausea, these problems can sometimes be more than an inconvenience. In many cases, they can be outright debilitating. Reflux. Whether you have a little bit of heartburn or whether you have full blown gastroesophageal reflux disease, reflux can cause long-term damage to your esophagus. There are a number of medications for reflux, including Zantac, Prilosec, Prevacid, Tagamet, and others. 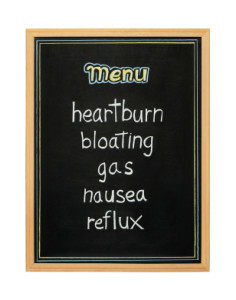 Herbal remedies for reflux include herbs such as ginger and peppermint. Peptic ulcers. Ulcers are sores on the lining of your stomach or your small intestine. Contrary to popular belief, stress does not cause ulcers. Ulcers can be caused by smoking, excessive use of NSAID medications, and even a certain bacteria. Ulcers can lead to serious infections and even gastric cancer. Antibiotics and, in very severe cases, surgery may be necessary. Lactose intolerance. It’s estimated that about 40 million Americans have lactose intolerance. Lactose intolerance means they don’t have the enzyme that’s necessary to digest the sugar contained in milk products. Lactose intolerance can vary in severity, with reactions as varied as mild gas severe nausea and diarrhea. There are a number of different treatments available for lactose intolerance. 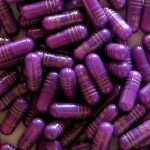 There are some over-the-counter medications that are effective for some people, and avoidance is especially effective. Herbal remedies for lactose intolerance include saffron, triphala and some types of probiotics. Diverticulitis. Diverticulitis refers to abnormal bulges on the walls of your intestines. A majority of older Americans have diverticulitis, but only about one in five experience complications. Complications can include things like tears and abscesses. Adding certain foods to your diet, such as nuts and popcorn, can actually help with diverticulitis. In some cases, you may need antibiotics. Extreme cases of diverticulitis can lead to nausea, fever and even the need for surgery. If you have significant digestive issues, talk to your doctor about possible solutions. In some cases, you may be able to resolve them without the need of medications. In other cases, more severe interventions might be necessary.